The world's favourite quiz show is now on Facebook Messenger! Messenger apps are the newest place for games, and what better place to play the TV classic? 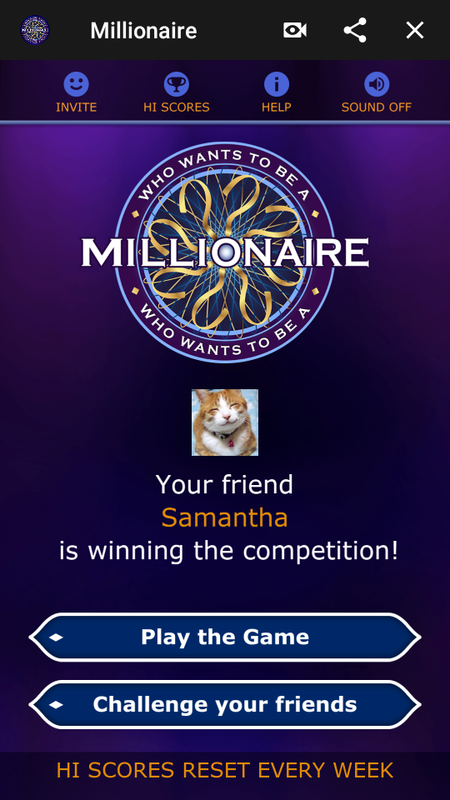 Offering more than 3,000 official Millionaire questions and three very useful lifelines, the game has already been played millions of times around the world! Join your friends to see if one of you can fill that coveted top spot - it's worth a million dollars! Play it now on Messenger!